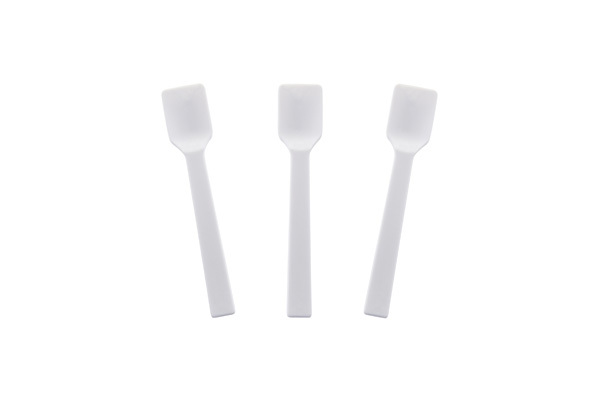 There are many suppliers of disposable plastic cutlery in the USA however not many cutlery manufacturers, DV Plastics manufactures all of its plastic spoons and cutlery here in Valencia, California. Our Gelato spoons are made of the highest quality polystyrene plastic that is FDA approved, 100% BPA free and made in the USA. 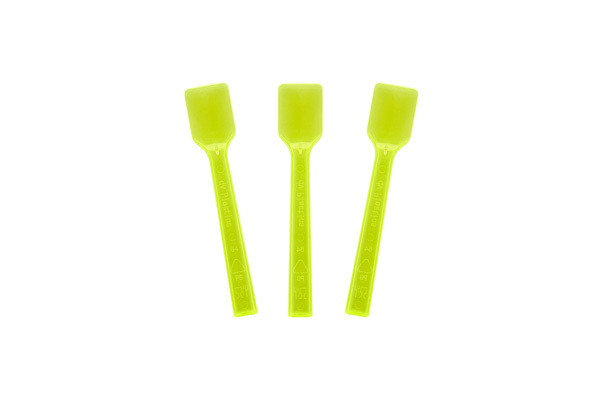 These spoons measure 4 inches in length and are packaged in a case of 3000 spoons (4 bags of 750 spoons). These spoons are called "gelato spoons" however they also work great with ice cream, frozen yogurt, frozen custard and all other frozen desserts. 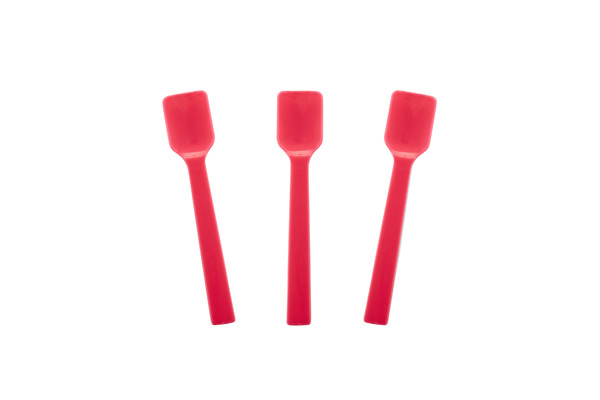 DV Plastics Inc. offers the largest color selection of Gelato Spoons in the world! We will also match any color you need (small minimum run requirements apply).